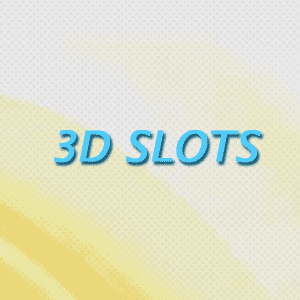 Welcome to 3DSlots.net, your home for information and updates on 3D slots. At an increasing number of online casinos, 3D slots are becoming a bigger part of the game selection, taking the action and features of traditional slots and adding new features and impressive visual effects. 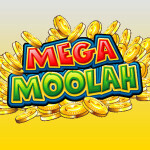 The result is a whole new experience that’s like nothing before seen in online gambling. UPDATE April 2019: Bovada Casino (www.Bovada.lv) have just released over 30 of the best 3D slot games and are offering all new players a 100% up to $3000 bonus – and they DO accept USA players! 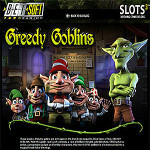 The term “3D Slots” first rose to the attention of most online casino gamblers thanks to Betsoft, one of the newer online casino software providers in the industry. Along with providing the normal selection of casino favorites, including classic slot machines, Betsoft developed an innovative line of more advanced slot machines that they referred to as 3D slots. These games offered a number of improvements and advancements in the way that the games were presented to players when compared to standard video slots. The basics of the slots were familiar to any slots fan, but the look and feel was entirely revamped. Instead of simply featuring static symbols and lifeless backgrounds, the 3D slots were filled with animations and moving parts. Characters moved around the screen, backgrounds came to life, and every win was accompanied by a short animated sequence that brought just a little extra fun to the game. This alone was enough to set the Betsoft 3D slots line apart from the competition, but it was only the beginning. As time went on, Betsoft began pushing the limits of what even their own slots could achieve, adding more and more features to their games. Extensive voice acting was added in order to fully flesh out the themes each game explored. Animated sequences were added, making scenes play out like in a computer-animated film or television show. The 3D animation effects were even built into the games themselves, adding an extra dimension to bonus rounds and special features to make them truly feel like exciting sequences that players could look forward to. Today, the games look nothing like the online slot machines that were considered state of the art just a few years ago. Along with offering some of the best presentations and game features in the industry, these 3D slots also offered excellent odds and large prizes, putting them near the top of the heap when it comes to online slots. If there’s one major problem with most slots, it’s that the gameplay can get a bit repetitive after a while. Push a button, spin the reels, and collect your prizes: rinse and repeat. Unlike with table games, it’s very simple to go on autopilot, as slot machines have no real strategy that needs to be followed during play. Of course, winning a big prize is exciting, but that’s about all most slot machines give you to look forward to. 3D slots were designed to be as engaging and fun for players as possible. In an attempt to keep players excited for the same game for as long as they could, 3D slots were given lots of additional features and interactive scenes. This meant that players were not only encouraged to keep playing in order to hope to hit a jackpot, but also to activate additional features, see all of the different possible animations, and unlock all of the possible bonus rounds to see the entire game. That’s the biggest reason to play 3D slots: to play games that don’t suffer from the same tedium and boredom of regular slots. If you find that you often get bored with slot machines after you’ve been playing for a while, you may want to give these ones a try. While regular slots often feel like glorified scratch off tickets with a few moving parts, 3D slot games feel much more like actual games — and everyone likes a good game. The biggest provider is Betsoft Gaming, so it shouldn’t be surprising when we say that Betsoft-powered casinos are the easiest place to play 3D slots games. At casinos such as BetOnline, you’ll find a full selection of slots, including some of the newest and most popular games on the market, such as Mr Vegas and The Slotfather. There’s also one other type of slot machine game that we want to mention – though it’s so unique that it deserves a section all its own. When you first heard the name 3D slots, you may have envisioned something similar to the 3D features we’ve seen in other media, like movies, television and comic books. In these instances, glasses are used in conjunction with specially crafted images in order to create a 3D effect that makes objects and people appear to jump out at the screen. While the 3D slots we’ve mentioned so far aren’t at all similar to this, there is at least one 3D slots game that’s looking to continue this tradition. Microgaming offers Sterling Silver 3D which uses the classic 3D effect to add a special look to the game. While the game is a pretty standard slot in most respects, you can use a standard pair of red/blue 3D glasses to make the symbols and graphics pop off the screen! This is truly a unique take on the 3D phenomenon, and while the game itself may be fairly routine, it’s worth a look just for the 3D effect alone. No sooner had the Bovada Casino website been updated to announce one big slots winner, a press release announced that a second slots jackpot had fallen. A €5 million Mega-Moolah jackpot has been won by a mobile slots player, who only signed up for an account seven days before becoming a multi-millionaire. 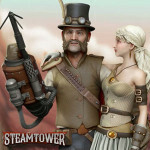 Online slots developer Net Entertainment has announced the release of its latest video slot – “Steam Tower” – which is available from today at Mr. Green. 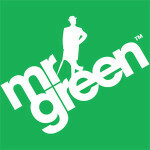 The new Chief Executive Officer of Mr Green – Per Norman – has said that the company will remain focused on European expansion in regulated markets. 3Dslots.net Copyright © 2019 All Rights Reserved.